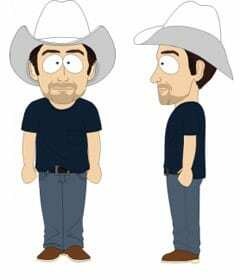 Brad Paisley was invited to the South Park Studios in California this past weekend to be a part of an upcoming episode of the infamous animated series. He collaborated with the show’s developers and will appear twice in the episode, which airs tonight (4/25) at 9 pm CT on Comedy Central. In his first scene Paisley, who plays a cartoon version of himself, is introduced and sings the national anthem as a lead-in to a Denver Nuggets basketball game. 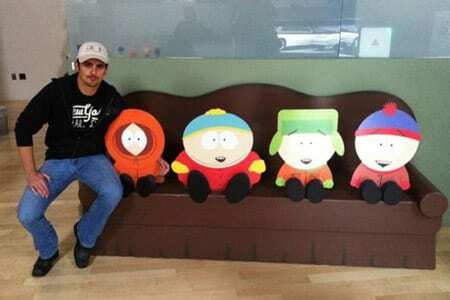 Later in the show his character duets with Cartman, one of the show’s main characters. Paisley documented his visit on twitter @BradPaisley.